British Prime Minister Theresa May has moved quickly to fill gaps in her Cabinet by appointing a new minister in charge of international aid and development, after the previous holder of the post was forced to resign in the wake of a political scandal. But Mrs May, who has no overall parliamentary majority, and has now lost two key ministers in as many weeks, is facing calls to embark on a full-scale Cabinet reshuffle, just when she plans to introduce a new Budget - a key moment in Britain's political calendar. And her backbench MPs are growing restless just when Parliament is about to adopt controversial legislation setting out the rules for Britain's withdrawal from the European Union. London appears rudderless, led by a prime minister who no longer seems able to govern, and yet, is also apparently irreplaceable. Ms Priti Patel, the International Development Secretary, resigned on Tuesday when evidence surfaced that she negotiated with foreign political leaders, including Israeli Prime Minister Benjamin Netanyahu, without informing Britain's top diplomats about these initiatives. To add insult to injury, she failed to offer convincing explanations for her conduct when confronted with awkward questions. But the snag for Mrs May is that a number of other members in her Cabinet are also embroiled in scandals that may claim their political careers. Mr Damian Green, who holds the office of First Secretary of State and is Mrs May's immediate deputy, is still under investigation over allegations involving his personal conduct, although he strenuously denies any impropriety. And Foreign Secretary Boris Johnson, who has long been afflicted by the "foot-in-mouth" political disease, is under fire for wrongly suggesting that a British citizen arrested in Iran did work with Iranian domestic journalists - when the official British position is that the citizen concerned was in Iran for a holiday. That mistake may put a British citizen's liberty at stake, and is considered by some as an offence that may still cost Mr Johnson his job. 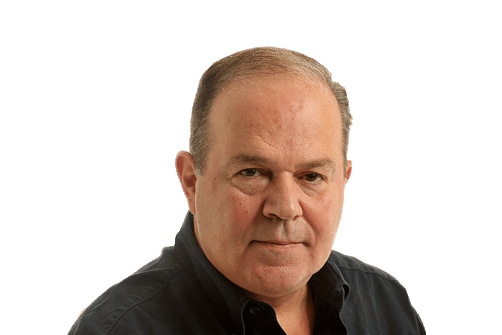 The danger for Mrs May is that she may find herself in the position of Mr Gordon Brown, who was the British premier about a decade ago, and who was also famously inept at managing the comings and goings of his Cabinet. "He sits there, while his ministers reshuffle themselves" was the cruel quip against Mr Brown at that time - a jibe which is just as applicable to Mrs May today. 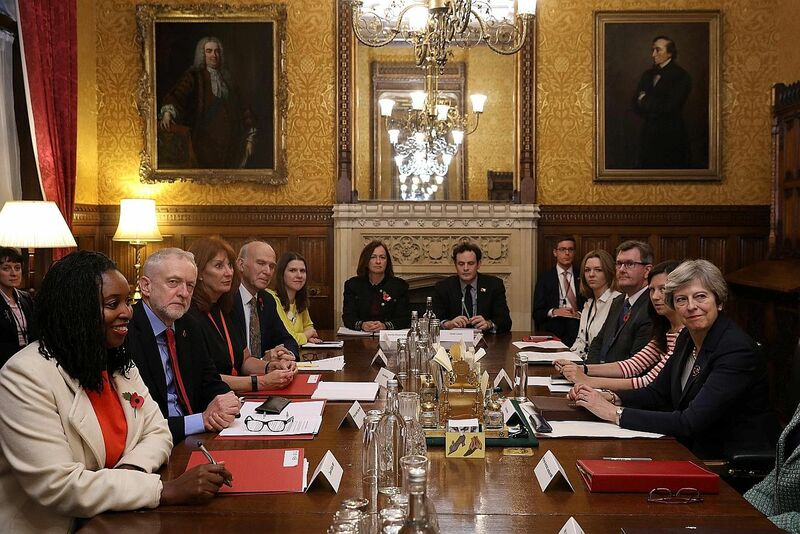 The traditional way for a British prime minister to reassert his or her authority is through a Cabinet reshuffle, which rids the underperformers, promotes loyal lieutenants, and reminds everyone who the boss really is. Mrs May planned precisely such a reshuffle after the June general election, but she lost her parliamentary majority at the polls, and was simply too weak to rearrange her Cabinet. The timing remains terrible for a wider shake-up today. Britain's new Budget is going to be unveiled in less than two weeks - an impossible time to move key ministers whose departments will be affected. And next week, the EU Withdrawal Bill - the key piece of legislation Mrs May's government must pass to take Britain out of the European Union - is being debated in Parliament. Mrs May must ensure that she does not annoy those opposed to Europe or dishearten those MPs who still want Britain to remain in Europe, and a reshuffle is just about the best way of unsettling both camps. The outcome is that she soldiers on, fearing the next political scandal, yet unable to either ignore it or deal with it. But precisely because the prospects of the government look so poor, and its ability to govern remains so precarious, few politicians want to replace Mrs May at the moment, She therefore remains in office, but not in power. And worse things may still be around the corner, as the ministers who are fired from her Cabinet threaten to turn into her future parliamentary tormentors. Ms Patel, who just resigned as minister, is a 45-year-old rising politician of ethnic Indian origin - precisely the kind of electoral group the country's ruling Conservatives wish to court. Ms Patel, in her resignation letter to the Prime Minister, wrote: "I will speak up for our country, our national interests and the great future Britain has as a free, independent and sovereign nation." It was presented as a reassurance of her support for the government but it can also be read as a veiled warning to a weak and vulnerable leader.